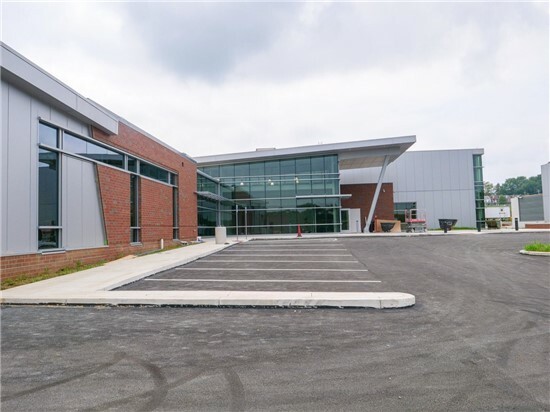 Horizon Engineering Associates, LLP (HEA) was contracted by the Pennsylvania Department of General Services to provide construction stage commissioning services for the Thaddeus Stevens College of Technology Manufacturing center project. HEA’s scope of work included pipe/duct testing and commissioning of the following systems: ventilation, cooling, heating hot water, and plumbing, building automation, electrical, fire alarm and fire protection. When first contracted for this project, what did the client express as the main goal / most pressing need for our services to accomplish? I was brought on to this job to help the Baltimore office from NYC in the middle of the construction phase of this project. When I arrived, the most pressing need from our client, PADGS, was to have the new facility fully commissioned and ready to go as soon as possible. Our main goal was to ensure this new educational center’s MEP systems were operating properly, and as energy-efficient as possible. What was the biggest challenge faced during the project and how was HEA able to navigate through any problems faced due to this challenge? One of the challenges we faced during this project was scheduling our final commissioning activities while classes at the college had already begun and the building was occupied daily. Although there were some delays that were out of our control, we scheduled our visits to be as productive as possible with regard to the commissioning of all systems. Being that the site was nearly 2 hours from the HEA Baltimore office, it was important that we were using our time wisely when we were able to conduct testing on site. Fellow HEA employee James Almodoval sacrificed a substantial amount of his own time to help make sure this project was done correctly. Anything about this project that makes it stand out to you as different from any other projects you’ve previously worked on? A unique aspect of this project that stood out to me was the fact that some systems were left unfinished, in order for trade school students to learn and fabricate themselves. For example, the snowmelt plumbing system serving the outdoor walkway has purposely left incomplete. Hot water pumps and control boards were inspected, but the plumbing was to be completed by the students of Thaddeus Stevens. Along with many other aspects of this building (exposed ductwork, accessible mechanical equipment, etc.) the new facility’s systems were designed to be a hands-on learning opportunities with the students of Thaddeus Stevens in mind. What do you think the success of this project shows about the qualities of HEA? HEA was successful in providing the client with valuable feedback regarding all systems. Recommended maintenance practices, and suggest building management system control points to include for climate control equipment will be beneficial to the new building for years to come. Again, none of this would have been possible without the extra time and effort put in by fellow HEA employee, James Almodoval.